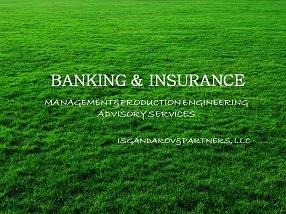 Isgandarov and Partners LLC has implemented a number of pilot projects to strengthen the existing Corporate Governance systems at top Azerbaijani banks and insurance companies, this included the development of internal control and internal audit functions as well as introducing disclosure practices. The services on transformation of statutory accounting into International Financial Reporting Standards (IFRS) and compilation of IFRS financial statements have been provided for major insurance companies for the number of years. Some of our engagements were closely coordinated with highly regarded Big Four Audit firms which function was to provide an audit opinion. Each Project on IFRS FS compilation included a component on provision of on-job trainings aimed on capacity building to compile IFRS financial statements across in-house accounting personnel as well as introducing the financial function at Management Board level. A separate assignment to deliver the Corporate Governance Review (CGR) services for one of the leading insurance firms to define the level of adequacy of existing corporate governance practices against benchmark best practices was the first IFC developed CGR service provided in Azerbaijan. The advisory projects delivered within the framework of Azerbaijan Corporate Governance Project and IFC Eastern Europe and Central Asia Corporate Governance Project.